On Sunday, September 24th, 2017, more than two-hundred friends of the Canons Regular of Saint John Cantius gathered with priests and brothers of the order for an elegant meal, lively entertainment, and one another’s company all with the cause of supporting the mission of Restoring the Sacred. The event was held in the famous Gold Coast room of the Drake Hotel in the heart of Chicago. This year’s event marked the record for highest attendance at the Annual Benefit Dinner. Live piano music was provided during the cocktail hour by the Director of the “Gregory the Great” Schola Cantorum, Mr. Joseph Urbaszewski, who delighted his listeners with popular piano music, ranging from ragtime to classical. During the dinner live chamber music was provided the Anthony Kawalkowski Orchestra. We had the pleasure of being in the company of our old Friends Fr. Regis Barwig and Fr. Augustine Serafini, as well as His Excellency Bishop Joseph Perry. Father C. Frank Phillips, C.R. and others spoke about the exciting new endeavors and developments for the community. We are also thankful to Fr. David Olsen, professor and Associate Dean of formation at Mundelein Seminary, for providing a first hand account of how our seminarians are finding their place in seminary life. 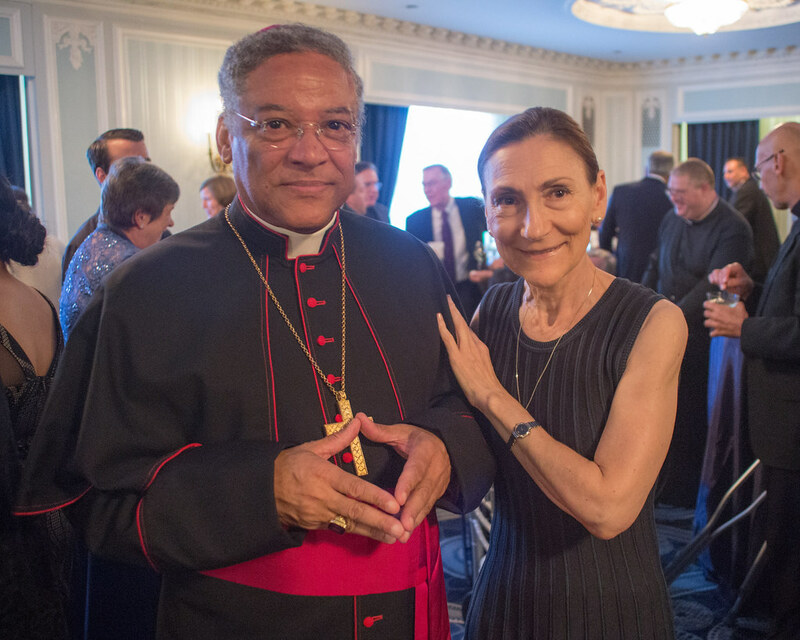 At the conclusion of the meal, patrons enjoyed bidding on the auction items to help raise additional funds which cover tuition costs for the seminarians as well as medical and insurance costs for all the members of the Canons Regular. On behalf of all the members of the Canons Regular of St. John Cantius, Father Phillips thanks those in attendance for their ongoing support as well as those whose efforts made the evening a success, especially the benefit committee, Ms. Delphine Michalik, Mrs. Barb Caruso, and Mr. and Mrs. Joshua Romanuik. Special thanks to Mr. Justin Sheffield of Ashland Addison Florists for their assistance in making this event a success. All of your contributions, large or small, are greatly appreciated and will continue to help us support our men in formation. A very special thank you to all our patrons who sponsored an ad in our 2017 Benefit Ad Book. We reached a record for participation this year. Thank you! You helped make this event possible. Also, a special thanks to all those individuals and organizations listed below that donated items for the various auctions to help the cause. We couldn’t have done this with out you!